Welcome to our home in the French Alps. Unpack your bags for the week at our chalet, located only 10 km from the base of Alpe d’Huez. 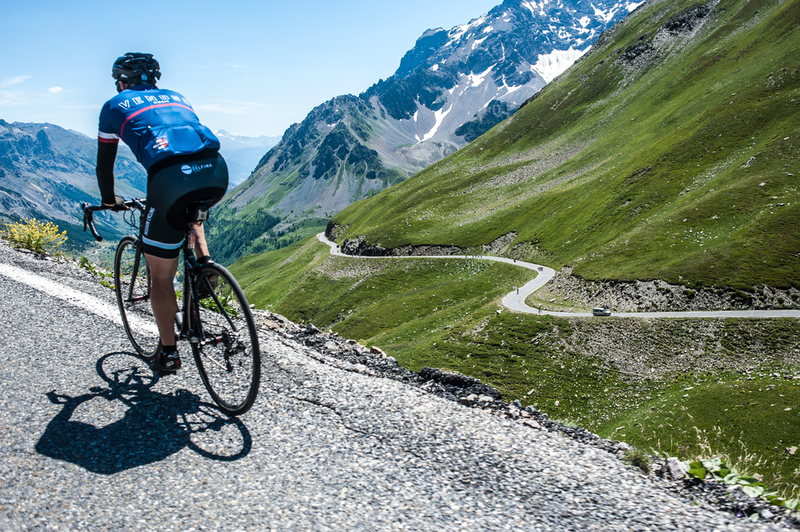 From our home outside of Bourg d’Oisans, you’ll ride out-and-back every morning to some of the most famous climbs in the world. Soak in the culture of local cafés, and fill your camera’s memory with vistas that will blow your mind. You’ll ride with the supportive spirit of a club on the same roads classic Tour de France battles have been fought. Finish each day with a 3 course meal prepared by our chef, a massage, a cold dip in the river, and of course a glass of French wine. Come ride with us this July, and experience the challenges, and ultimate rewards, of cycling in the Alps. Reserve your spot today and start dreaming of epic. Our base is a chalet in a tiny village near Bourg d’Oisans, just a few kilometers from Alpe d’Huez. The chalet is managed by our good friend Will and has been completely renovated to a super-comfortable, mountain standard. Guest rooms are double occupancy on 3 floors with shared bathrooms. The ground floor has a large communal area and kitchen, where Will (soon to become you new best friend) prepares our breakfasts, post-ride snacks, and an amazing dinner every night. Each day, we'll have a planned route with options for cutting it short or, in some cases, adding an extra credit climb or loop. The riding in the Alps is challenging and steep. But ask any one of the dozens of past guests, the payoffs are mind-blowingly worth it. It’s no wonder the Tour de France rolls through year after year. We ride out-and-back everyday, there’s no need to hop in vans. World class cycling is at our doorstep. 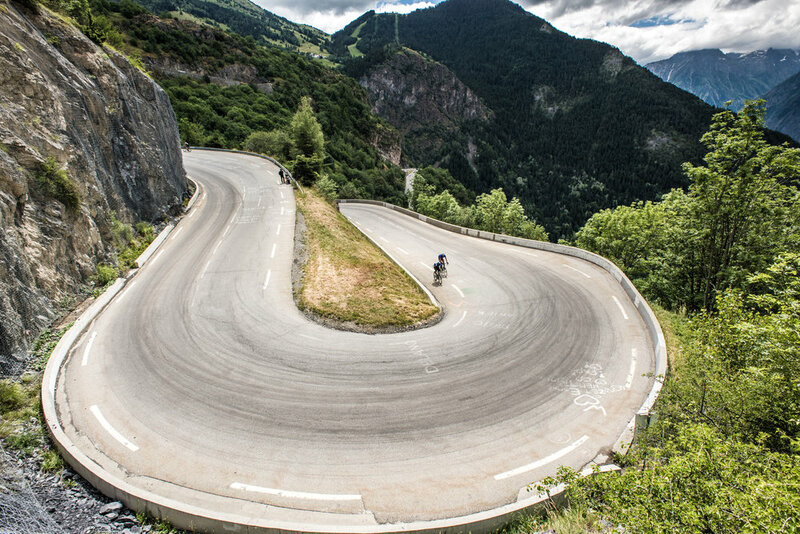 Alpe d’Huez, Col du Galibier, Croix de Fer, and dozens of other impressive, storied climbs await. Each day's breakfast and coffee will be waiting for you when you come down from your room. We'll have a mix of prepared hot food and a pantry of other items in case you have a specific pre-ride routine. 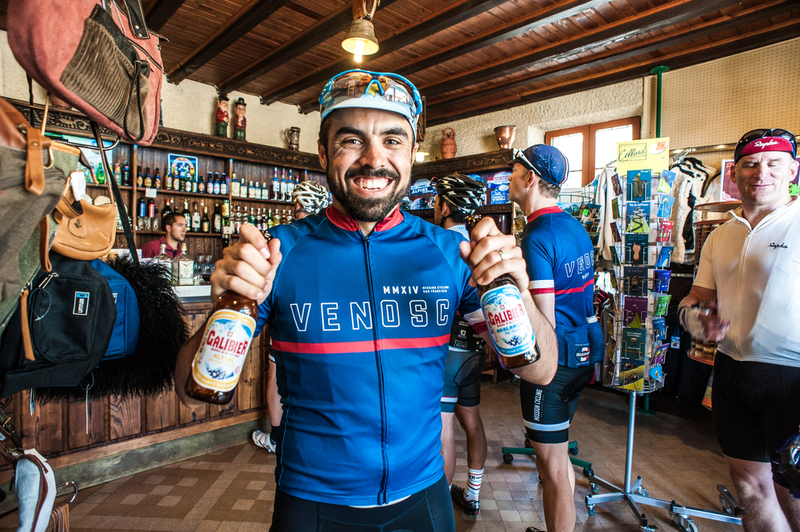 When we return from our ride we'll have post-ride snacks and refreshment waiting. After we've showered and caught up on the day's Tour stage results, we'll eat together, team style. Dinner is prepared on the premises by our personal chef. We usually eat outside in the Alpine mountain air. Our chef, Will, is a not only a chef, but also an avid cyclist who lives in the area so he understands sports nutrition and might share a secret ride or café. If the historic climbs of the Tour de France, epic views, jaw-dropping descents, full-catered accommodation and daily massage appeal to you at all, then this trip is for you. This is an unforgettable trip where you will push your limits of cycling and be rewarded along every mile. You’ll be with our club style group meeting huge challenges with laughs and bringing home some serious bragging rights. Not sure if you can handle it? We're sure you can. While you’ll need a good level of fitness, we’ve had riders of all levels in past years, and no one is left behind. Sign up and start training! We stay in one place all week so you’ll soon become familiar with the surrounding area. This will allow you to improvise along each day's route if you'd like. After a day or two, this will feel like home.